You no longer need an SEO checklist or must hunt around in the dark for intricate problems that are dragging down traffic and revenues from your website. A lot of SEO tools are on the market these days that provide a great deal of information on SEO such as keyword research and domain visibility. When it comes to crawling a website for analysis regarding how the search engines see your site, the software program Forecheck is in a class by itself. As an SEO audit tool, it returns practically everything from a site such as broken links, server status codes, load time, meta elements and much more, even issues such as duplicate content, canonical links and Google Analytics metrics. Other tools return many of these elements as well. Forecheck stands out among the crowd as an SEO audit tool because of the almost unlimited power it harnesses. As a stand-alone tool, it can analyze sites of any size, from sites with less than a hundred URLs to sites with over a million URLs! And you don’t have to wait days or weeks for the information. Small and medium sites can be analyzed in minutes or a couple of hours, while extremely large sites can be analyzed during a work day. Importantly, with Forecheck you can run an unlimited number of analyses. The different versions offered range from a limited number of URLs to unlimited URLs. For SEO agencies and webmasters who require regular SEO audits, Forecheck is the perfect tool! Reporting is an extremely important facet, and Forecheck doesn’t disappoint. Once you pause, stop or finish an analysis, you can create reports based on all of the various elements returned. These can be easily filtered as desired and a report is created within a few seconds. The highly recommended XML format for Excel files offers additional filtering and color-coding. Reports aren’t limited and you don’t have to wait for the returns, therefore you can get them out to your team or clients immediately! Additionally, Forecheck doesn’t limit you to a “one size fits all” analysis. Forecheck is an SEO audit tool that allows for an incredible range of User Agent settings, including mobile apps. 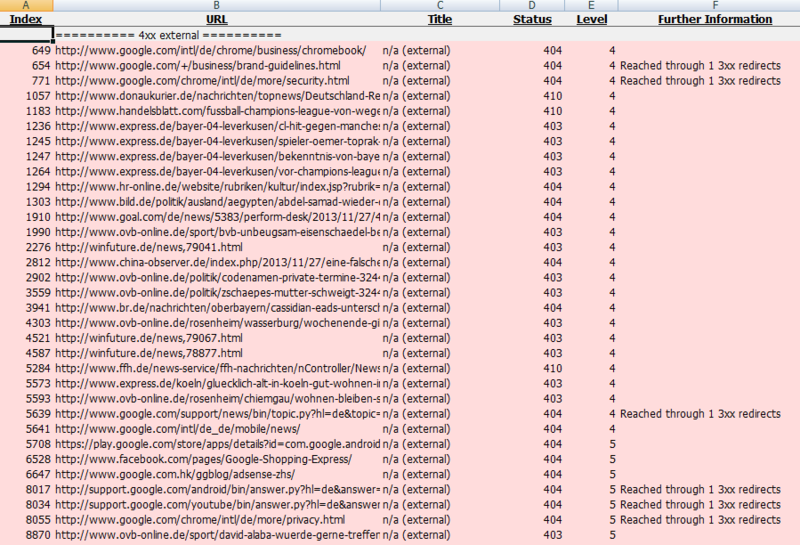 And while Forecheck’s surface and reports can be set to English or German, it will crawl sites in most any language. Forecheck lets you know what is right and what is wrong, along with recommendations on how to fix crawl errors and warnings. 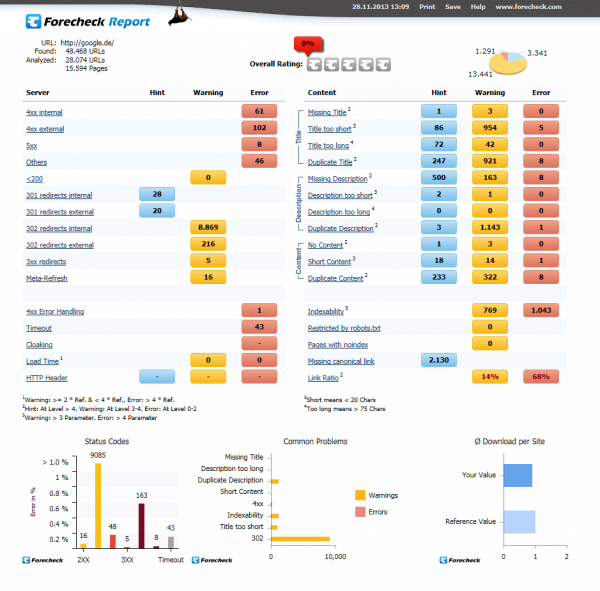 When looking for a tool that returns SEO audit data, Forecheck is your answer.